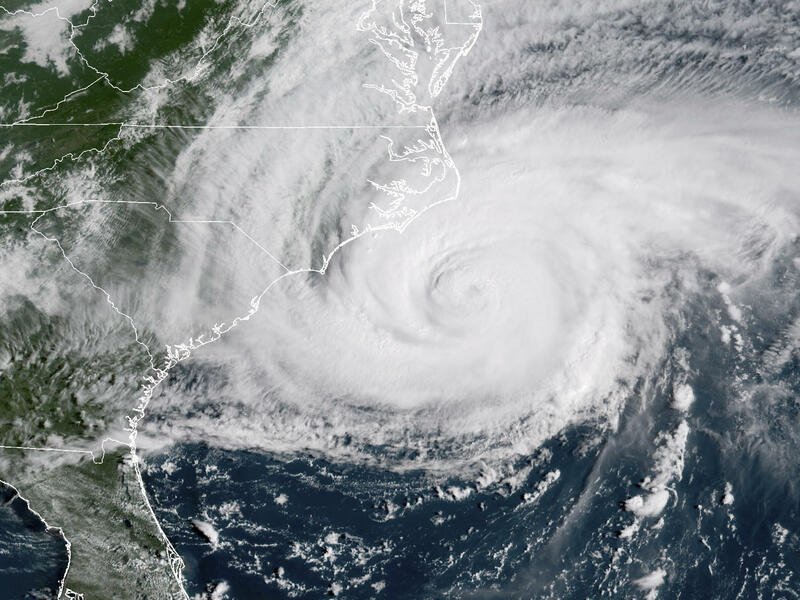 A satellite image shows Hurricane Florence on the eastern coast of the United States on Friday. 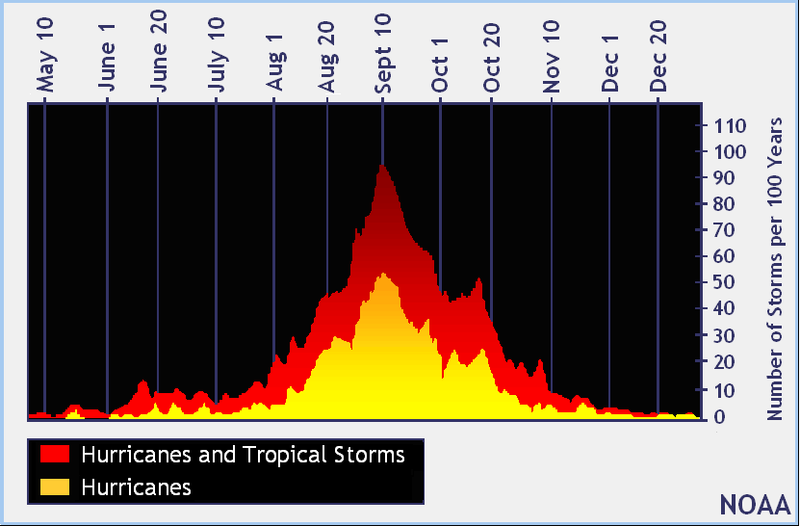 The number of tropical storm and hurricane days for the Atlantic Basin spikes in mid-September. And we can breathe a sigh of relief — at least until next hurricane season.